Join over 28 000 cycling enthusiasts to celebrate the 22nd edition of the Telkom 947 Cycle Challenge on Sunday 18 November at Riversands Commercial Park. 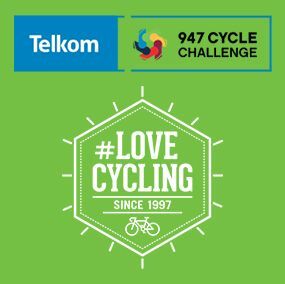 With 947 shutting down some of the busiest roads on the continent, and thanks to the generosity of the City of Joburg, this safe environment gives cyclists of all abilities the chance to beat previous times, overcome personal challenges, or simply enjoy the breathtaking route of this annual event in Johannesburg's calendar. Cycling enthusiasts have no choice but to be on the start line this year! The routes constructed for this year’s Telkom 947 Mountain Bike Challenge on 10 and 11 November offer an adventure on a bicycle in the heart of Joburg. The 55km* route targets more technically advanced mountain bikers. The tracks show off some private land not usually accessible over Steyn City, and the Heron Bridge college property before an unusual tour from the back of Northern Farm that jumps back into Steyn City. With plenty of hand-cut single track over bridges, steep traverses and funky maintenance tweaks on sections we might think we know, this lends a great down and dirty adventure. Riders will need to qualify for the 55km*, to ensure safety on the route and a superior trail experience without bottlenecks. The 25km* route offers a fun but not overly technical ride for new to fairly seasoned weekend warriors to see quite a few parts of Joburg where the public can’t usually roam. This is an adventure with river crossings, single track and jeep track riding and a few interesting urban obstacles. The route runs through the last open spaces in the greater Glenferness area, some privately owned property, and then heads onto Cluny Farm’s land where there is a very special water point. Riders can then look forward to a section in Inanda Country Base with a few sneaky little climbs where they might be tempted to do a saddle swop, as this is usually an equestrian playground. You'll the forested single tracks before return to Riversands. On Saturday 10 November, there is also a 10km route with a great introduction to trails for beginners and a bit more of a challenge than the Telkom 947 Kiddies Ride for older or more eager kids. This can also provide a fantastic opportunity for the WHOLE family to get out and enjoy their bikes together. Entries are limited – and you don’t want FOMO! We have partnered up with Hollard, City Parks and the Johannesburg Zoo to bring you a route that will leave you begging for more. The adventure starts at Marks Park and will take you over two floating bridges and through green belts, with views never before seen. Be pushed to the limit with kilometre long storm water drains and tunnels, specially designed to avoid zombie and lion encounters. On Sunday 19 November, join thousands of fellow cyclists on a tough but exhilarating 94.7km ride around one of Africa’s busiest cities. 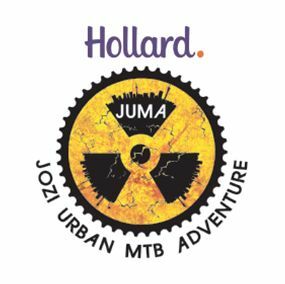 The ROUTE will be tough but the camaraderie from other riders, as well as the support from the Joburgers who line the street make this an unmissable and iconic event! Enjoy full road closure to enjoy a very special day out and test your personal bests. It’s a bucket list event, and if you plan to tick it off your list – make sure you get the t-shirt! Our merchandise store includes everything from technical gear to collectors items – don’t miss out! To all our 25km and 55km #CCMTB2017 finishers, congratulations – you took on the challenge and you conquered! You were part of something amazing!